I discovered this recipe this past summer looking for a different type of pasta salad. Ever since, I’ve been hooked. It was a perfect side dish to bring to the holiday parties at work especially with those festive colors. I’m so excited to make this again next summer with some tomatoes from my garden. It’s such a simple salad so it lends itself to being a base to add other bright herbs or vegetables like basil or peppers. My entire family are suckers for feta cheese so you can bet your bottom dollar that I piled a ton on this salad. Between the creaminess of the feta with the acidity and bite of the tomatoes and green onions, it’s such a good combination. The pine nuts finish it off perfectly for the nuttiness and crunch to balance it all out. 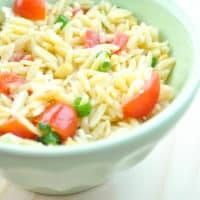 Cook orzo with the box instructions. Once done, use a colander to drain. Keep in colander and run under cold water to stop cooking. 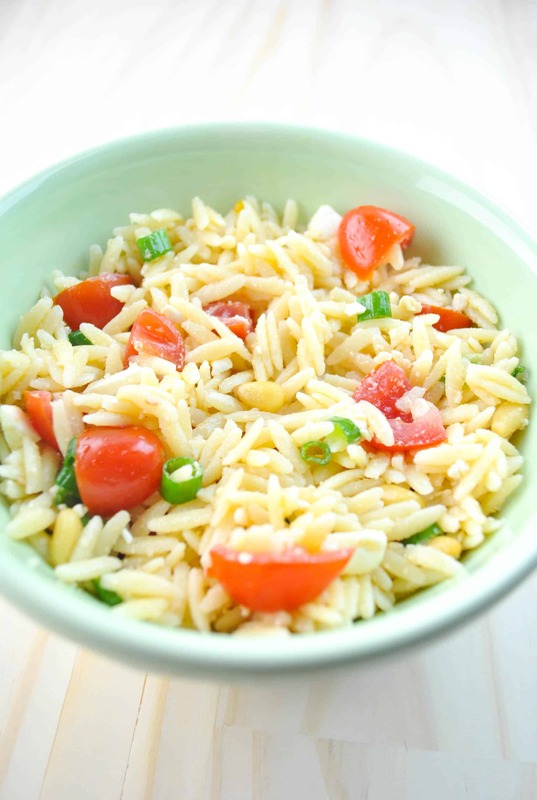 While orzo is cooking, combine red wine vinegar, lemon juice, olive oil, and honey in a bowl and mix thoroughly. Chop tomatoes and green onions. Toast pine nuts on a cookie sheet using lowest heat your oven can be on. Be sure to keep an eye on these, it takes between 5-10 minutes. 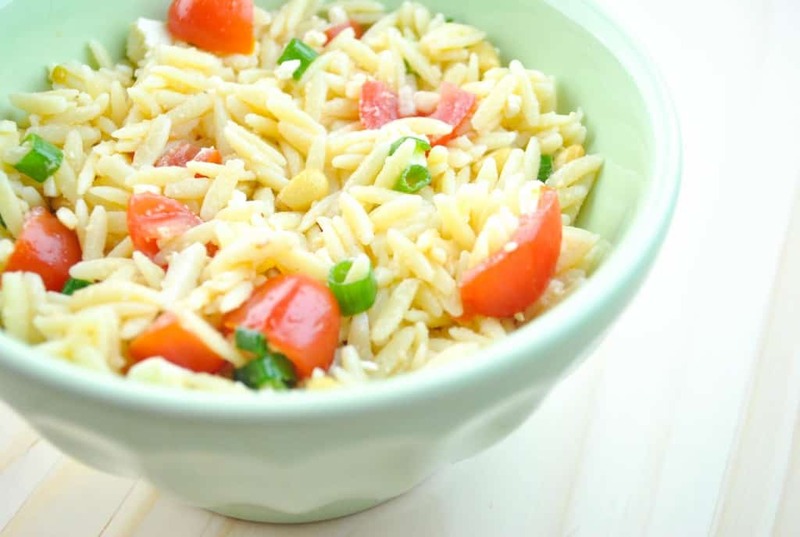 Mix the dressing in the orzo and once combined add the tomatoes, green onions, feta, pine nuts, and salt and pepper to taste. Serve at room temperature.